"Sampath Speaking" - the thoughts of an Insurer from Thiruvallikkeni: art at museum - Can you spot the duplicate ? attempt of Dulwich Picture Gallery ! art at museum - Can you spot the duplicate ? attempt of Dulwich Picture Gallery ! The oft-repeated joke about modern art is – if you hang the art topsy-turvy, it would be more appreciated as reflecting modern art ! The interesting – ‘False Impression’, a mystery novel by English author Jeffrey Archer, first published in February 2005 occurs mostly in UK and partly USA & Romania, but traverses through Continents. In the engrossing tale on a masterpiece artwork, author’s knowledge of the artwork resonates quite heavily. Quite a new angle is that upon the occurrence of Sept.11, some people went missing, presumed dead and some who were alive too, chose to make this an opportunity ! – it has its share of killing starting with that of an English countess and more people by a hired assassin who once was a great gymnast. The good person is a Japanese Steel magnate who with passion for artwork is willing to spend fortune and save people. It is cleverly constructed entanglement that keeps the readers guessed throughout. There are many painters of fame. Vincent Willem van Gogh (1853 – 1890) was a Post-Impressionist painter of Dutch origin whose work, notable for its rough beauty, emotional honesty, and bold colour. After years of painful anxiety and frequent bouts of mental illness, the much acclaimed painter of now, died aged 37 from a gunshot wound, generally accepted to be self-inflicted. In one evening of Dec 1988, Van Gogh severed his left ear (either wholly or in part; accounts differ) with a razor, inducing a severe haemorrhage. The self-portrait - Van Gogh showing the bandage on his mutilated ear like a saint displaying the stigmata; titled ‘bandaged work’ was famed and Jeffrey Howard Archer’s novel revolves around this artwork. How many of us would visit art galleries and if we chance to visit, can we spot the fake one hanging out there ? Dulwich Picture Gallery is an art gallery in Dulwich, South London. The Gallery in its current form was designed by Regency architect Sir John Soane using an innovative and influential method of illumination, and was opened to the public in 1817. The building is the oldest public art gallery in England but the Gallery only recently became an independent charitable trust, established as such in 1994. Dulwich Picture Gallery houses one of the country's finest collections of Old Masters, especially rich in French, Italian and Spanish Baroque paintings and in British portraits from Tudor times to the 19th century. Can You spot the fake? 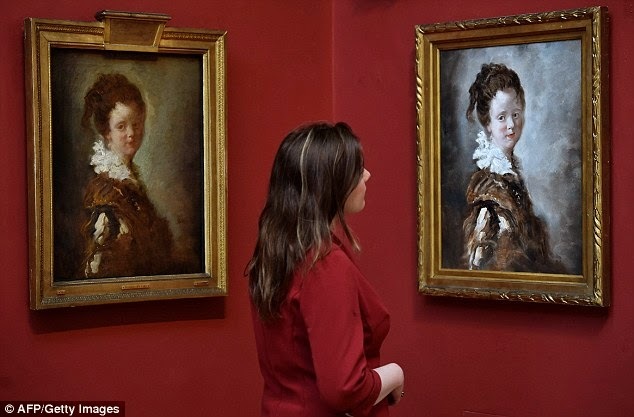 Art gallery replaces Old Master with £70 version made in China to see if anyone can tell the difference reports Mail Online. When Dulwich picture gallery began discussing the idea of introducing a fake painting to their collection, no-one could have imagined it would have led to the quadrupling of visitor numbers. But that is exactly what happened when Jean-Honoré Fragonard’s 18th-century work ‘Young Woman’ was replaced by a hand-painted replica, produced in China and ordered over the internet for £70. It has hung in among 270 Old Master paintings since February 10 after a challenge was laid down to the public to 'spot the fake'. Now, three months on, the gallery has revealed that only 10 per cent of the 3,000 people who visited during the experiment guessed correctly. But the gallery's chief curator, Xavier Bray, said that he was impressed a number of people had managed to spot the imposter hidden among the Rembrandts, Rubens and Murillos. He told MailOnline: 'It was a fascinating experiment which gave us a chance to test art connoisseurs and we saw visitor numbers quadruple because of it. original left and replica right ! The way to distinguish the real from the fake, Mr Bray said, was to look at the lack of warmth in the background canvas of the imposter and the modern pigment of acrylic paints. 'If you look closely, the brushwork on the fake is trying to be expressive but it comes across as dead because it's an attempt to replicate something else. There's no magic to it like there is with the real one.' The original painting was put back in its frame recently and hung beside the replica, allowing people to compare the differences between the two. Jean-Honoré Fragonard’s 18th-century work Young Woman is one of his famous Fantasy Figures, a series of quickly executed studies intended to showcase the artist’s virtuoso handling of oil paint. 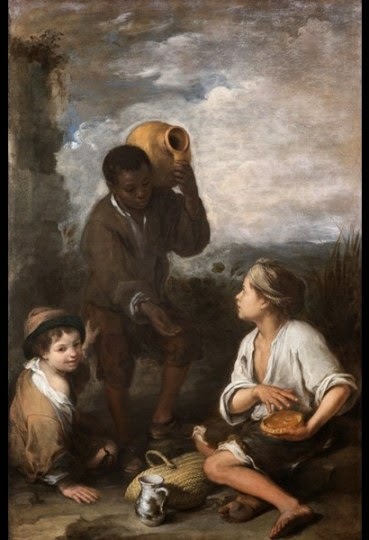 It was painted in 1769. The unidentified woman is portrayed in Spanish dress, with a lace collar and slashed sleeves suggesting the dramatic costume of the stage.